Dr. Bradley Grossman always appreciates feedback from his valued patients. To date, we’re thrilled to have collected 45 reviews with an average rating of 4.93 out of 5 stars. Please read what others are saying about Dr. Bradley Grossman below, and as always, we would love to collect your feedback. Excellent care and direct explanations. Very calm and positive experience! Working on neck and back pain. Great adjustments. Dr. Grossman is always the best!!! When I have pain in my "usual" weak spots, a trip to Dr. Grossman makes me feel better. I’m better! Dr. Grossman asked me where the pain was, asked me to effect various moves, and located the source of my pain. He applied electro stimulation and spinal manipulation. This was yesterday. Today the pain was gone and I was back at the gym! Dr Grossman is a wonderful chiropractor who really knows how to provide pain relief. He is very knowledgeable and empathetic. The best chiropractor I have ever had. Dr. Grossman is fantastic. I had some hip/shoulder pain I visited him for and he has really fixed it up. Thanks! 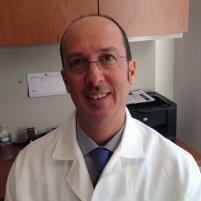 Dr. Grossman is very experienced and gentle in his approach to spine manipulation. I highly recommend him. Very proffessional and his staff is very friendly very nice atmosphere. Mr Grossman has done a great job adjusting my spine in which I was having an inbalance issue with my spine .he made the adjustments now I feel much better.and his treatment prices are very reasonable.i would go back again .i refer my sister to him and she was happy with the treatment she received. Excellent! Dr. Grossman listens and then pinpoints the cause of the problem accurately. He never rushes. Always caring and help me feel better whenever I need to see him. Dr. Grossman is a caring individual. His staff are always pleasant and professional. I’ve been seeing Dr Grossman since the 90s. He’s always been great and is very devoted! He is more about helping and healing than about the money! Truly rare when it comes to a lot of doctors. I strongly recommend Dr Grossman. I always appreciate the care I receive from Dr. Grossman, his service improves my health. We know insurance is confusing! Our office offers affordable care to all - please contact the office to see if you have out of network benefits.